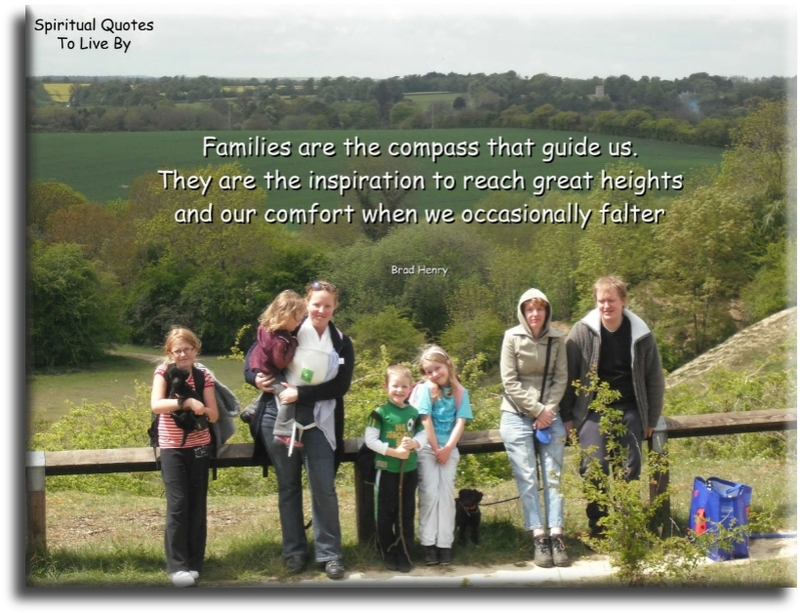 The family quotes on this page are all positive, inspirational words of love and wisdom from known sources that celebrate the joys of family life. 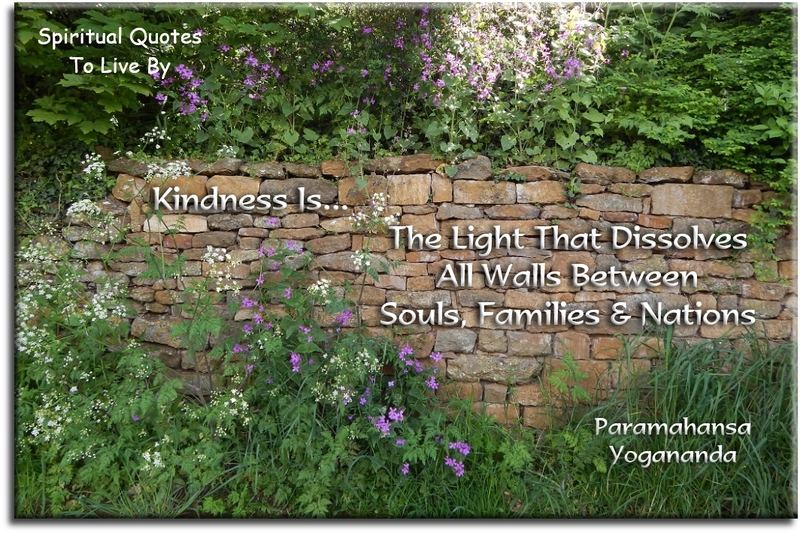 Words from unknown origins are on the Family Sayings page. 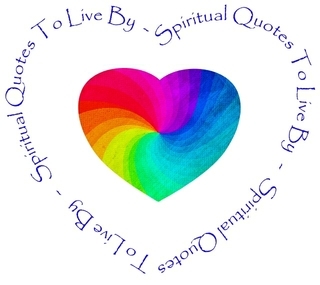 The other pages relevant to family are: Baby Quotes & Sayings - Children Quotes & Sayings - Father Quotes & Sayings - Grandmother Quotes & Sayings - Mother Quotes & Sayings - Parent Quotes & Sayings. 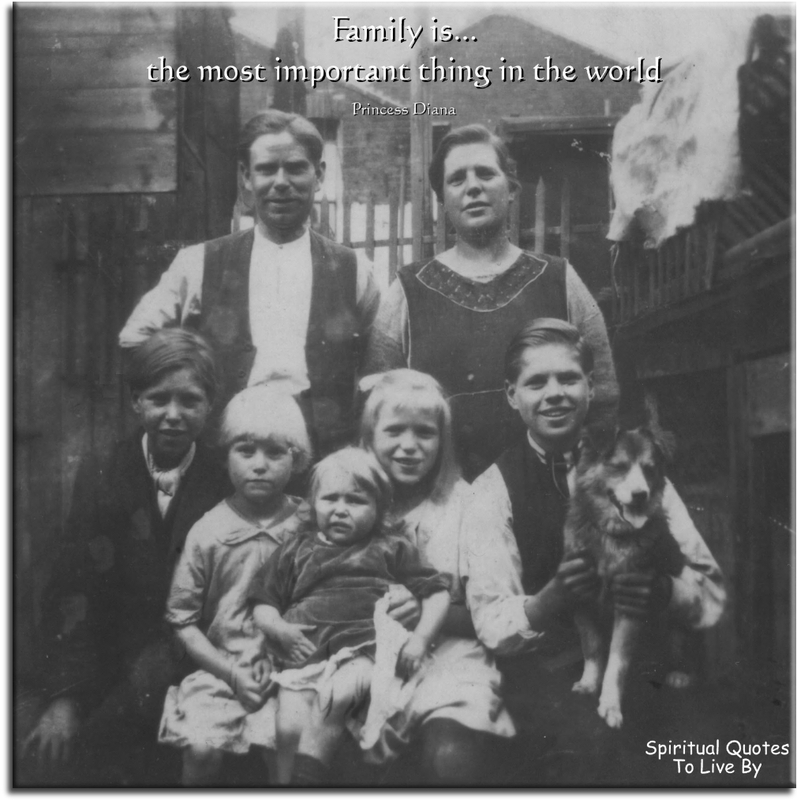 I was brought up with a strong belief in the family being the most important thing in life. I was taught by example, that your family will always love you no matter what, and that a loving, supportive, caring, positive upbringing will produce the same qualities in adults. When I see what a wonderful job my children are doing in bringing up their own children, I can appreciate that I had a part in passing on the 'family values' that I was blessed with as a child. 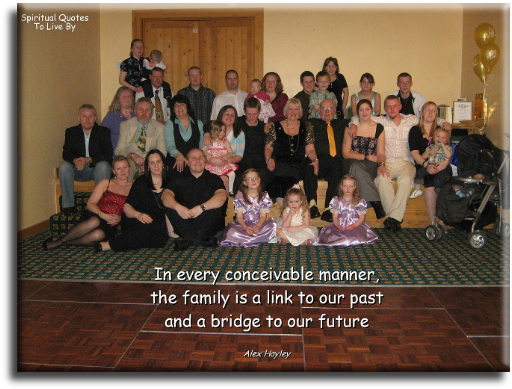 Family quotes are listed alphabetically on surnames. One hug always equals two... One for them and one for you. Spend some time this weekend on home-improvement... Improve your attitude toward your family. Family life's a bit like a runny peach pie - not perfect, but who's complaining? An older sister is a friend and defender - a listener, conspirator, a counsellor and sharer of delights, and sorrows too. Sisters share the scent and smells.. the feel of a common childhood. 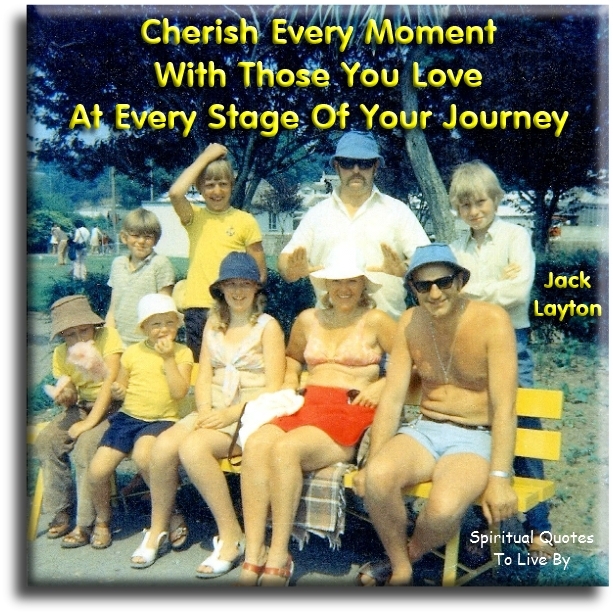 We shared: parents, home, pets, celebrations, catastrophes, secrets. And the threads of our experience became so interwoven that we are linked. I can never be utterly lonely, knowing you share the planet. 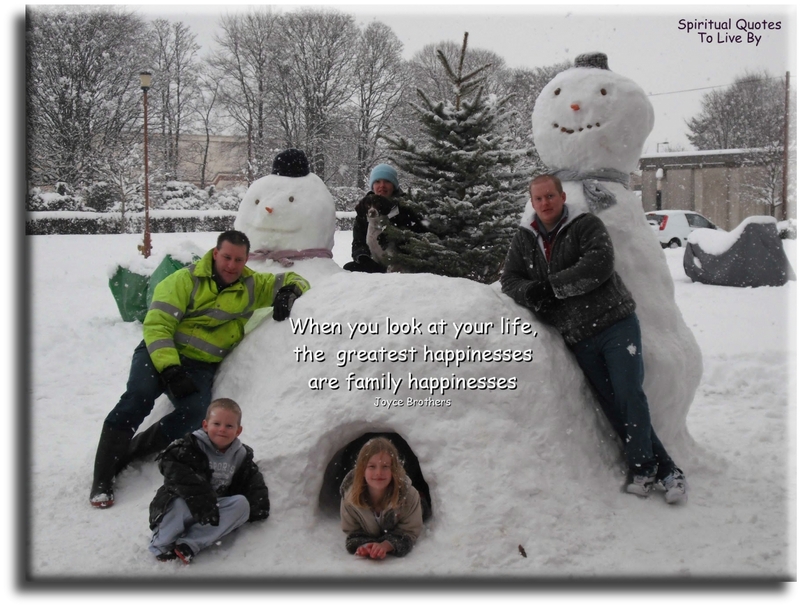 Family faces are magic mirrors... looking at people who belong to us, we see the past, present and future. 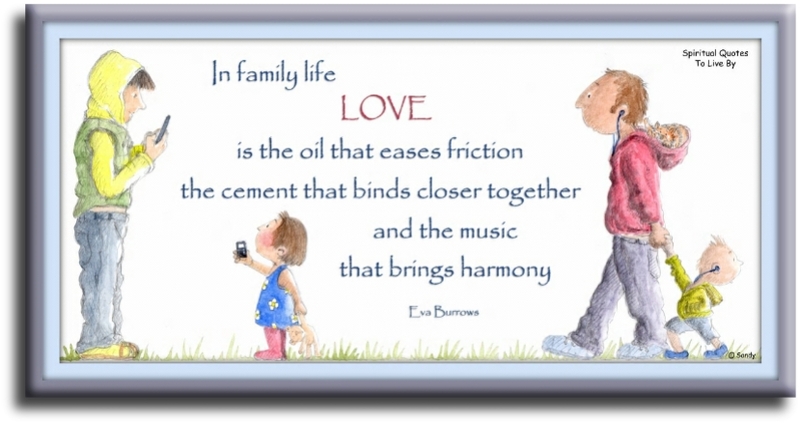 In family life, love is... the oil that eases friction, the cement that binds closer together, and the music that brings harmony. The connection between brothers and sisters is completely different to that between friends and it exists throughout our lives, even if we have little contact. Our children are not going to be just ‘our children’ - they are going to be other people’s husbands and wives and the parents of our grandchildren. The most extraordinary thing in the world is... an ordinary man and an ordinary woman and their ordinary children. Home - that blessed word, which opens to the human heart the most perfect glimpse of Heaven, and helps to carry it thither, as on an Angel’s wings. Sometimes our hearts get tangled and our Souls a little off kilter. Friends and family can set us right and help guide us back to the light. My family provided me with the proper information and inspiration for me to overcome the challenge of blindness. Family isn't something that's supposed to be static or set. People marry in, divorce out. They're born, they die. It's always evolving, turning into something else. 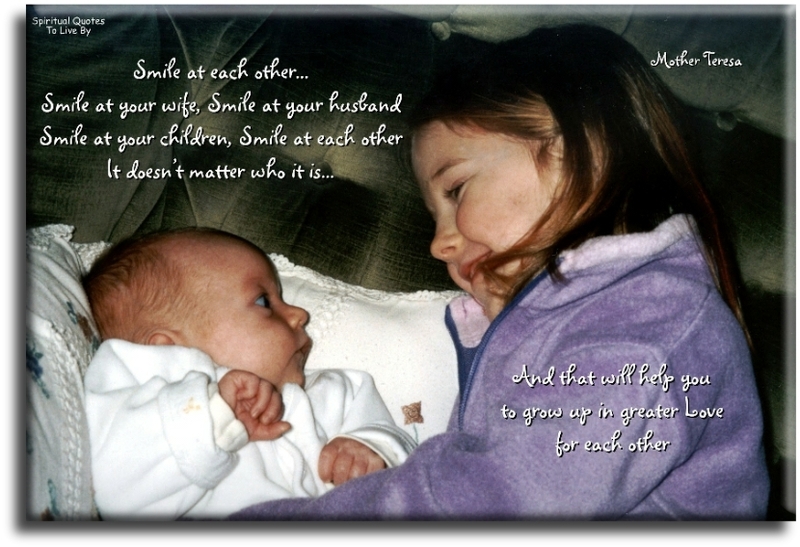 Siblings are the people we practice on, the people who teach us about fairness and cooperation and kindness and caring. There's no vocabulary for love within a family, love that's lived in but not looked at, love within he light of which all else is seen, the love within which all other love finds speech. This love is silent. Family is not an important thing... it is everything. Mothers are like glue... even when you can't see them, they're still holding the family together. What children need most are the essentials that grandparents provide in abundance. They give unconditional love, kindness, patience, humour, comfort, lessons in life. My parents with their descendants in 2008 at their Golden Wedding party. My fondest hope is that Roots may start black, white, brown, red, yellow people digging back for their own roots. Man, that would make me feel 90 feet tall. If you look deeply into the palm of your hand, you will see your parents and all your generations of your ancestors. All of them are alive in this moment. Each is present in your body. You are the continuation of each of these people. 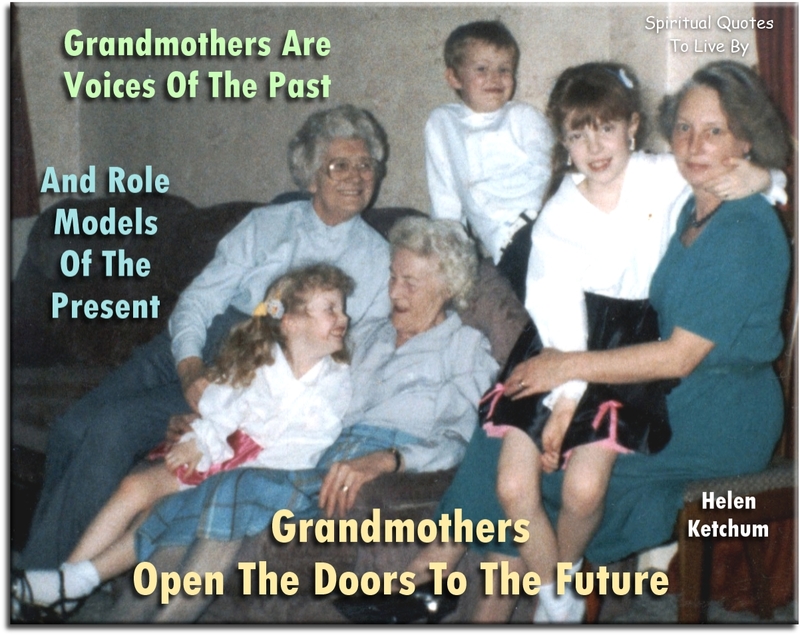 It is my belief that grand-parenting is the most important family role of the new century. No matter what you have done for yourself, or for humanity, if you can't look back on having given love and attention to your own family, what have you really accomplished. It's important for all single parents to remember that not everything that goes wrong, from your son's bad attitude towards school to the six holes in your teenage daughter's ear, is because you live in a single-parent home. Every family has its problems. Soup is a lot like a family. Each ingredient enhances the others; each batch has its own characteristics; and it needs time to simmer to reach full flavour. Yes, single-parent families are different from two-parent families. And urban families are different from rural ones, and families with six kids and a dog are different from one-child, no-pet households. But even if there is only one adult presiding at the dinner table, yours is every bit as much a real family as the Waltons. While it's nice to appreciate the fashion world... what makes you happy are real relationships and the moments you share with loved ones. The love of family and the admiration of friends is much more important then wealth and privilege. We are conjoined by hundreds of thousands of memories that silt down into you and stop being memories and become a part of what you are. A man travels the world in search of what he needs.. and returns home to find it. There are all sorts of different families. Some families have one mommy, some families have one daddy, or two families. And some children live with their uncle or aunt. Some live with their grandparents, and some children live with foster parents. And some live in separate homes, in separate neighbourhoods, in different areas of the country - and they may not see each other for days, or weeks, months.. even years at a time. But, if there's love - those are the ties that bind, and you'll have a family in your heart, forever. This world is nothing but a school of love, our relationships with our husband or wife, with our children and parents, with our friends and relatives are the university in which we are meant to learn what love an devotion truly are. Love must become the subject of serious scientific study. Loved children are healthier, happier, more peaceful children. Loved husbands have seldom heart attacks. Loved plants grow better. Loved animals are not vicious. Loved nations do not wage war. A humanity of loving people will be a peaceful humanity. To promote love means therefore to promote peace. Yes, let us have a loveology, a science of love, to start with a World University of Love. This is part of a longer Blessing on the Native American Tribes page. To the outside world we all grow old. But not to brothers and sisters. We know each other as we always were. We know each others hearts. We share private family jokes. We remember family feuds and secrets, family griefs and joys. We live outside the touch of time. The guys who fear becoming fathers don't understand that fathering is not something perfect men do, but something that perfects men. The end product of child-raising is not the child but the parent. If the family were a fruit, it would be an orange, a circle of sections, held together - but separable, each segment distinct. 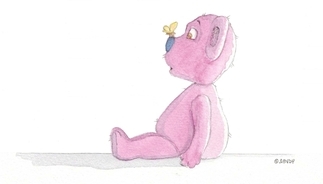 When parents say 'I'm sorry,' they are saying so much more. For there is no friend like a sister, in calm or stormy weather. To cheer one on the tedious way, to fetch one, if one goes astray. To lift one, if one totters down, to strengthen whilst one stands. Before becoming a mother I had a hundred theories on how to bring up children. Now I have seven children and only one theory.. Love them, especially when they least deserve to be loved. 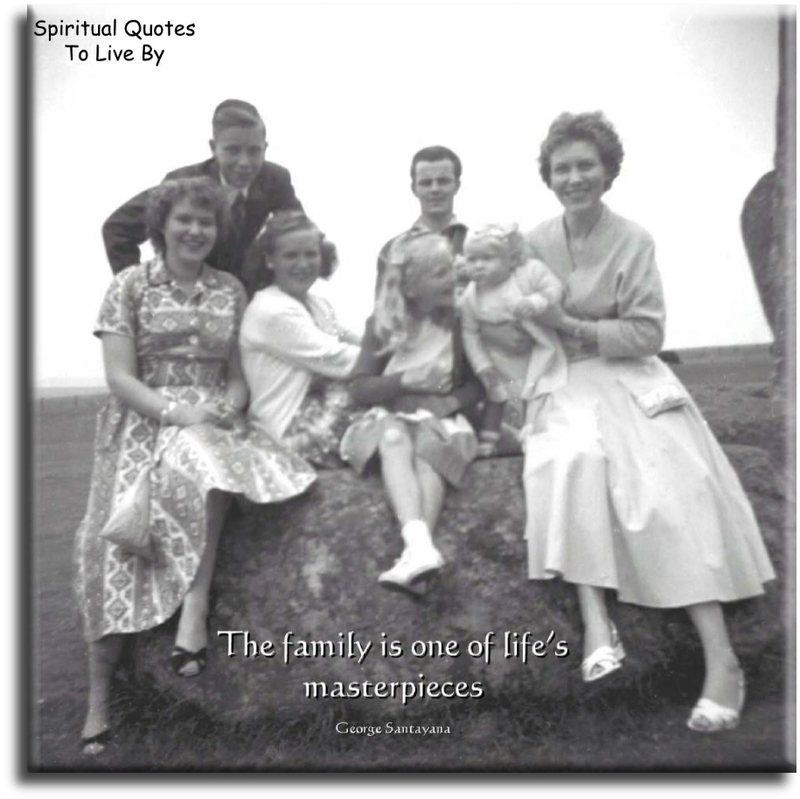 The family is one of life's masterpieces. It is not flesh and blood, but the heart that makes us fathers and sons. The family... that dear octopus from whose tentacles we never quite escape, nor, in our inmost hearts, ever quite wish to. My wife, my family, my friends.. they've all taught me things about love and what that emotion really means. In a nutshell, loving someone is about giving, not receiving. It's one of nature's ways that we often feel closer to distant generations than to the generation immediately preceding us. There's no road map on how to raise a family, it's always an enormous negotiation. 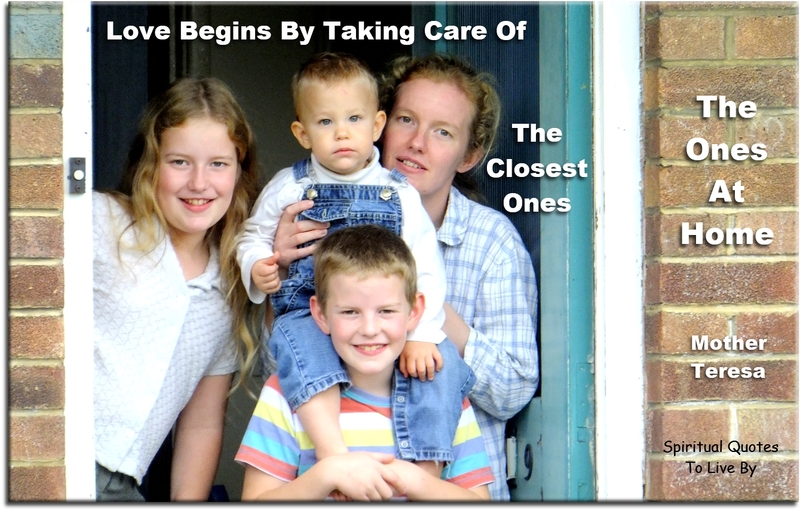 Love begins by taking care of the closest ones... the ones at home. 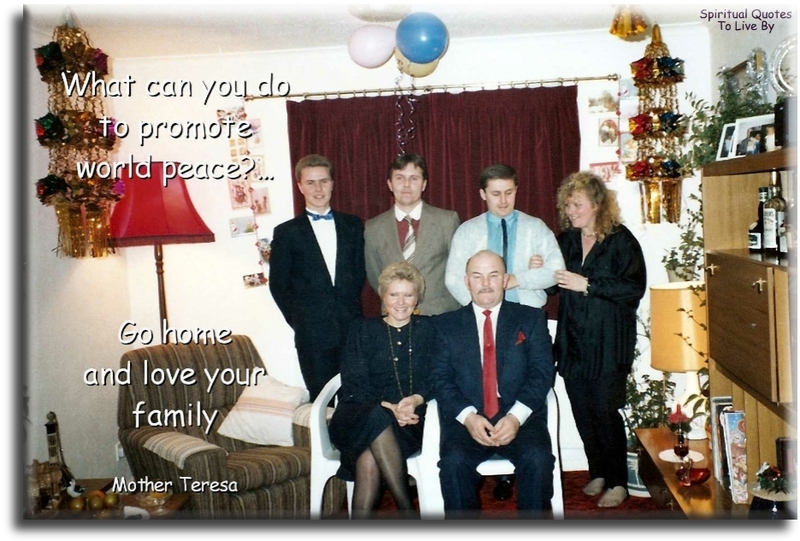 What can you do to promote world peace?... Go home and love your family. Love your family. Work super hard. Love your passion. The place to cure most of the ills of society is in the homes of the people. Secreted in the basements and attics of memory are the hidden treasures of family history that only a grandmother can recall, write and hand down.